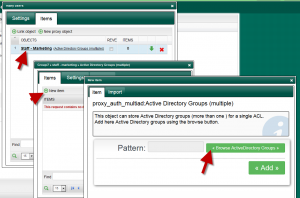 The Active Directory groups object is designed to store a list of Active Directory groups. 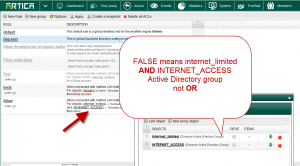 The Dynamic Active Directory group can only be added only one time per rule. The Active Directory groups answers to this behavior by adding unlimited groups inside the same object. On an acl rule, when adding a new group, select the group “Active Directory groupes (multiple)” type. After adding the group, click on it in order to add items. 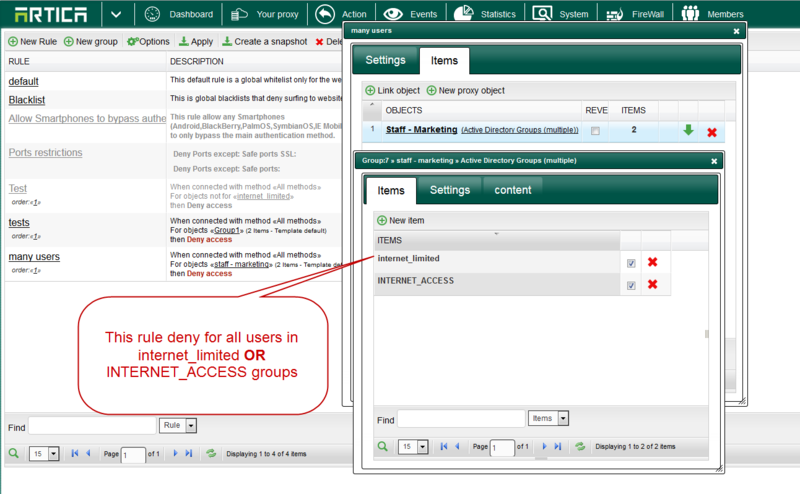 Click on the button “Browse Active Directory groups” in order to select groups.